Previous Article And Another Blurb. Next Article A Not So Humorous Friday. Thanks for hosting the blog hop and I'm your newest follower. Also, I wanted to thank you for the lovely compliment that you left on my blog. Happy Holidays!! A couple times moments of teeny tiny snow in the air but no snow on the ground yet! Thanks for the invite to the party! I'm all linked up and GFC following too 🙂 Hope you can follow too. Have a lovely day! Thanks for the lovely comment you left on my blog. I love hearing from people! Thanks also for the opportunity to link up. 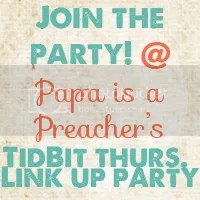 Link up parties are always fun! Would you like to follow each other on GFC? We've not had snow yet either! 😦 Boooo!